Miami is no doubt the number one spot people think of when they think of Florida. It’s been made more popular through the Hollywood movies and its popular and beautiful beaches. Here are just a few activities to keep you busy in the Miami area. It’s great when you can see animals running around in the wild, but how are you supposed to do that while keeping safe at the same time? At The Monkey Jungle in Miami you can rest assure that you’re safe, because here, you’re the one caged. It’s far more humane and more entertaining to see monkey in a natural habitat as you wander through a caged pathway as the monkey swing and jump around through the trees above you. It’s a great spot for the kids too. The 50-acre estate of Vizcaya should be a definite visit for an afternoon of unique views. The European-style mansion is erected just a few feet from the water to make for a fantastic vistas. You can wander around to your hearts content through the gardens and gazebos that are scattered about the immaculately manicured lawns. The inside of the mansion is covered in antiques from the 16th to the 19th century and outside, the building stands tall and majestically that brings fairytale thoughts to your mind. This spot is not surprisingly a popular place to have events like quinceaneras and weddings. So Miami beaches are popular and awesome, no doubt. But if you’re tired of the crowds and the craziness of the Miami strip, try out Key Biscayne, or “The Key,” if you want to sound like a local. No crowds, almost as pretty, but the quiet and calm vibes and waters will draw in anyone who needs to chill out for a bit on some pristine beaches. OK, so a chill beach isn’t your thing and you want the best beach party vibes of your life. Then you need to hit South Beach and don’t look back. Beach babes running wild, hunks with no shirts, beautiful beaches, umbrella lined shores, it really doesn’t scream any more “Miami” then this spot. When you’re tired of the beach and need to reenergize, some of the best restaurants are just a moments away on the strip. 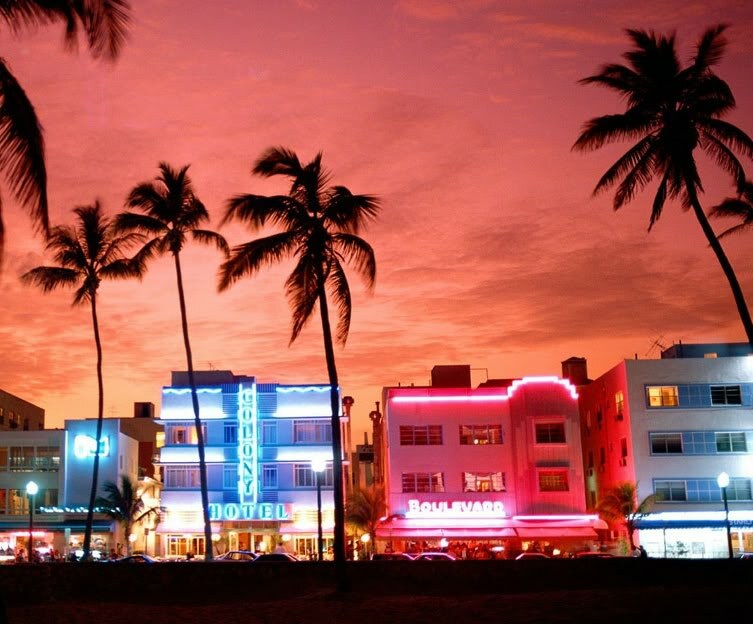 You can find anything, and nearly every place is the trendiest and hottest spot, of course, it’s on the Miami Strip! There’s no wrong choice. Enjoy walking up and down the area searching for something that pleases your palate and stop by a few of the boutiques and pick out a new outfit for the party tonight. So you’ve already booked your flights to Miami from Thomas Cook Airlines, and what’s the first thing you think of when you think of Florida? Alligators! Besides beaches, Florida is known for these prehistoric monstrous creatures, so why not visit the Everglades to get up close and personal with this ferocious creature. The Everglades National Park also hold some other endangered animals of interest the like Florida Panther and the West Indian Manatee.